1. You’re always connected to SMART’s data network. The way they charge for this is very different from all their other data plans (volume based and time based). 2. Worried if you’ll run out of load on prepaid or use up all your plan if you’re on postpaid? Worry no More! You can see the current running balance if you’re on postpaid and your current remaining load balance if you’re on prepaid. Makes sense, no? This might even reduce a lot of customer support issues because users of the service will always be aware of your usage. No more surprises. Walang himala or magic bawas sa load. Yes, you telcos know who your are. 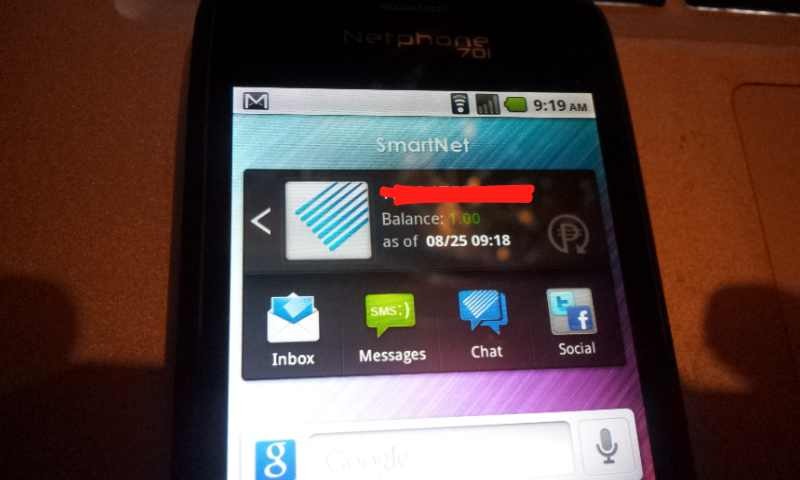 Yes, Smart’s netphone system lets you keep a PHP 1.00 balance while letting you stay online and connected the web. The Netphone line from SMART will come with its own super-low pricing schemes for data. Image used with permission and copyright Jayvee Fernandez. 4G Globe Tattoo Tonino Lamborghini Broadband Stick Is a Fake? magkano ba talaga ung netphone 701?